Copper Wire Recycling Machine Bring High Economic Efficiency _ PCB recycling machine,cable wire recycling machine,E-waste recycling plant,precious metal refining machine system,E-waste shredder,plastic and metal recycling production line,copper electrolysis system-Zhengzhou Zhengyang Machinery Equipment Co.,Ltd. 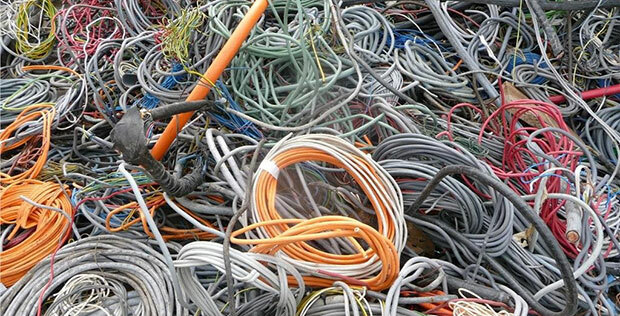 Copper wire recycling machine a variety of miscellaneous materials the Φ25mm following speed cable and wire strippers are not suitable for processing in a variety of specialized processing and auto electrical lines, communication cable cable, shock sieve separation after crushing processing,separation with washing. Thoroughly to separate the copper and plastic, and to achieve the comprehensive utilization of purpose, with a higher economic efficiency. No water at the processing and no dust and no secondary pollution. Only put the waste wire into the feeding mouth, the copper and plastic will be separated by vibrating. The copper purity is 99.9%. The scrap copper wire recycling machine is the overall modular structure, easy installation and commissioning, and transportation (customer purchases power can be produced), and stable performance.